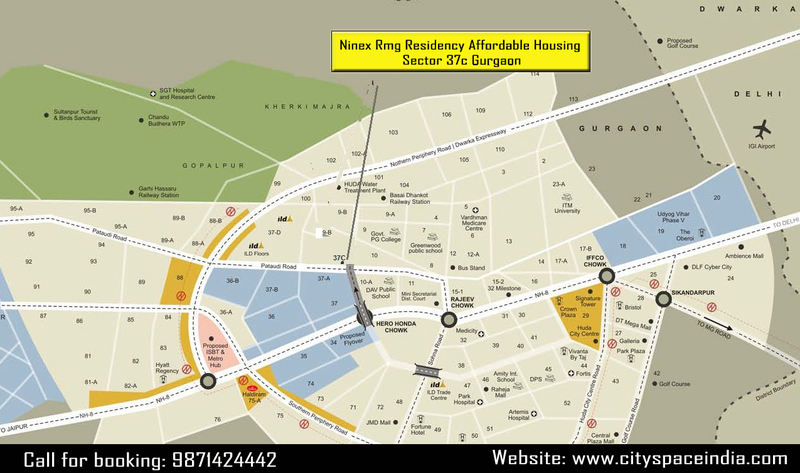 Ninex RMG Residency is at Sector 37C, Hero Honda Chowk, Gurgaon. Ninex RMG Residency is an affordable housing project is a landmark surpassing equals by Rmg Developers Private Limited (Ninex Group). Ninex RMG Residency has 1 and 2 bedroom apartments. 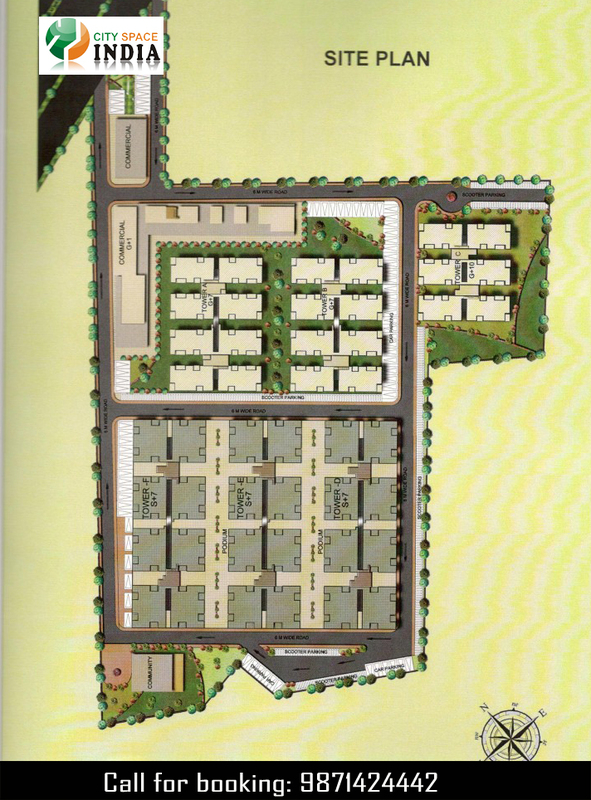 Ninex RMG Residency consists of 724 units on a 5 acre land bank. To turn the thought of a serene living in the hub of connectivity can be a challenge but Ninex RMG Residency accomplishes that with no difficulty. 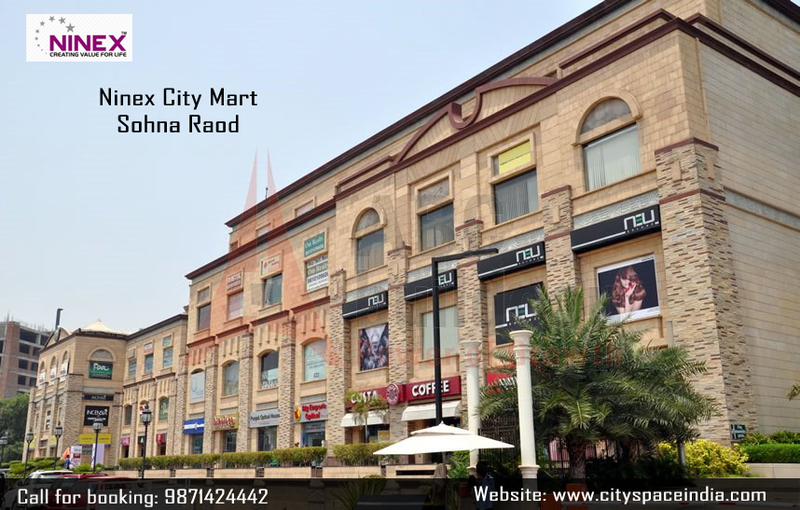 Ninex RMG Residency is set in close proximity to Hero Honda Chowk, Huda City Centre and IFFCO Chowk. Ninex RMG Residency is near to state of the art healthcare and educational institutions, commercial centres, yet strategically located at a place of peace and tranquility. The rapidly growing Dwarka Expressway and IGI Airport is well connected from Ninex RMG Residency at Sector 37C, Gurgaon. 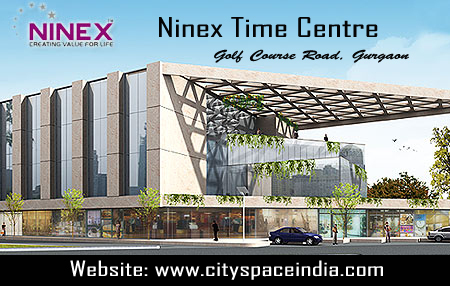 Ninex Developers aims at bringing the best of all worlds in all its projects be it commercial Ninex City Mart and Ninex Time Center, Business Park or residential Ninex City all in Gurgaon. 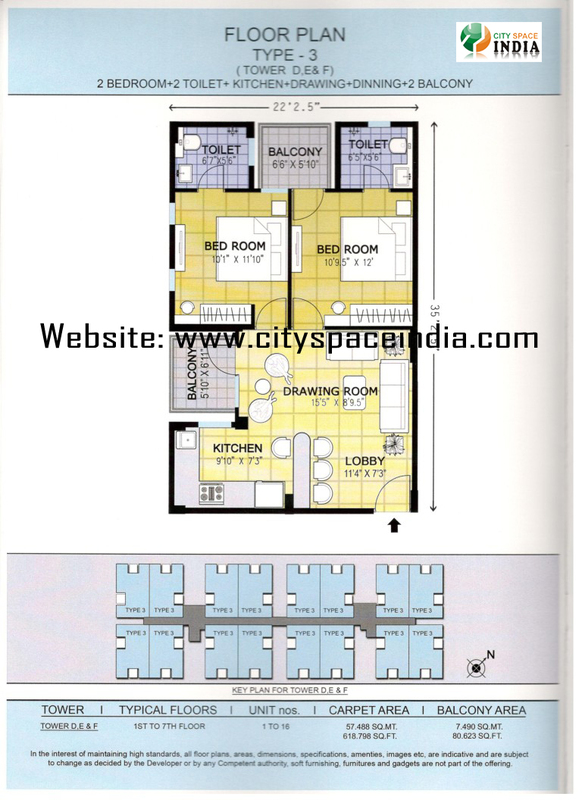 TYPE 1: 1 BHK TYPE-1 194 no. of apartments of 441.320 sq ft (approx) carpet area and balcony with an aggregated area of 68.197 sq ft (approx) with a two-wheeler parking. 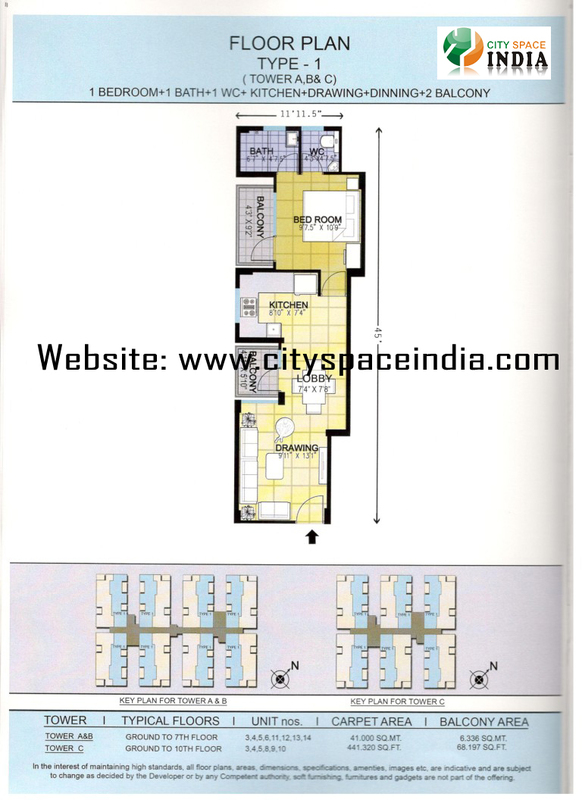 TYPE 2: 1 BHK TYPE-1 194 no. of apartments of 481.609 sq ft (approx) carpet area and balcony with an aggregated area of 66.621 sq ft (approx) with a two-wheeler parking. 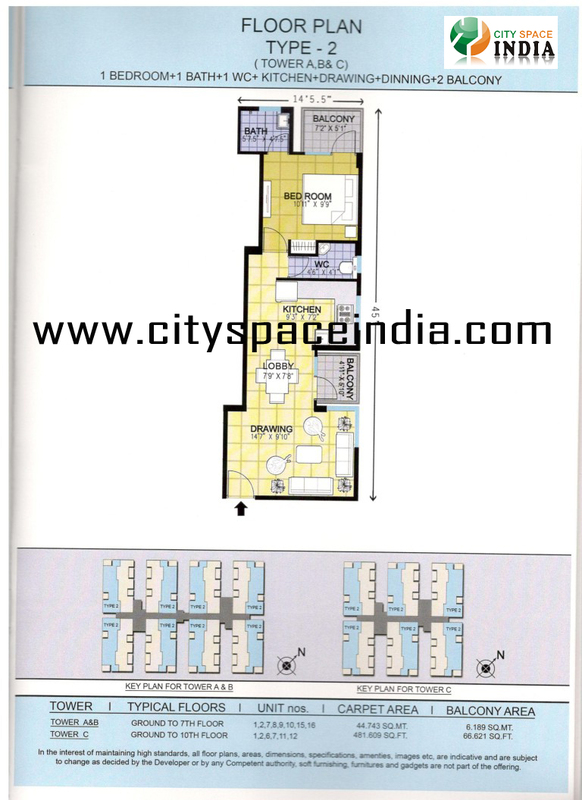 TYPE 3: 2 BHK TYPE-1 336 no. of apartments of 618.798 sq ft (approx) carpet area and balcony with an aggregated area of 80.623 sq ft (approx) with a two-wheeler parking. Allotment Rate of Apartment 4000 Rs. Per Square Feet. (all inclusive) + Taxes & other charges as applicable from time to time. No Extra Charges i.e. EDC/IDC/Car Parking/PLC/Club Charges etc. Looks like you are now close to deciding to buy an apartment in Ninex Rmg Residency Affordable here are the steps involved in purchasing with the help of PropTiger. 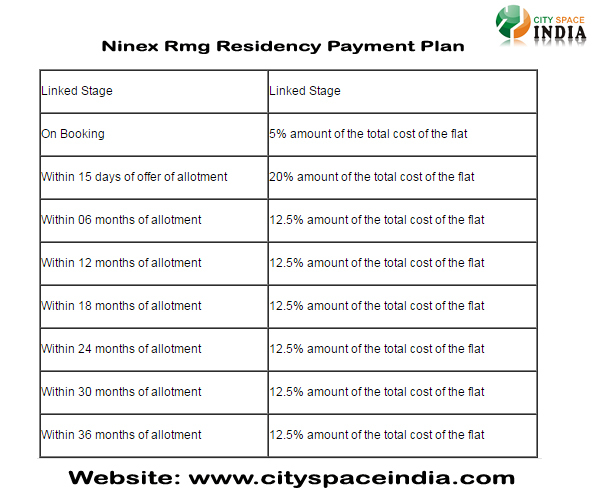 Thanks for showing your interest in Ninex Rmg Residency Affordable, Gurgaon . Please register in the form below and our Sales Team will contact you shortly.